A fine recital by the previous prize winner directed me towards a fascinating three & a half hours at Wigmore Hall yesterday afternoon. Two hours listening to ten ten-minute programmes by the selected finalists (10 out of 120 who in March had been auditioned in London & Vienna), then one and a quarter more during which, to my astonishment, most of the nearly full audience stayed whilst the jury deliberated, discussing and arguing about the likely outcome. During that long wait I discussed prospects with many in the audience and also met some of the anxious competitors. Most people had strong views, several saying that for them, the winner's name was 'a foregone conclusion'. All of those were proved wrong. The prize ceremony was brief, with the usual caveat that reaching decisions had been onerous. Clearly there had been no easy concensus nor was there an 'audience prize' for this knowledgeable audience to express democratically its collective opinion; minority reports would be interesting to read. Failing access to secrets of the jury room, here is mine! I was very happy with the choice of first prizewinner, and she was on my short list of three. Anna May Leese was at 24 the youngest we heard, and I guess she'll develop Fiordiligi's low notes in proper time (hear her take the role at RCM at the end of the month). She is tall, strikingly red-headed, and has poise and attractive platform manner. Her voice is creamy, a lovely lyric soprano. I look forward to her Wigmore Hall recital (part of the prize, with £5000). Jaques Imbrailo has a big, rich baritone voice, his Pagliacci E fra que stansie ready to break hearts in a large opera house. He didn't figure on my personal short list. Neither did Andrew Staples, a ringing tenor with an unruly hair-do, who captured two of the prizes. He might soon have his sights upon Bayreuth? I could see him a future Siegfried. Annabel Thwaites was a deserving "accompanist" prizewinner. There were no prizes expressly for duos per se (no texts provided, so pianists - who have far more of the notes! - had a good 50% of my attention). I'm sure that Annabel, who wisely chose the two items for David Stout (the first of Brahms' Serious Songs and Count Almaviva's Hai gia vinta la causa! from Figaro) will gladly share her award with this rosy-cheeked bass baritone from Guildhall School of Music & Drama (he's preparing Falstaff for a production there early next year).There was tremendous concentration and tension in their performance, with total intuitive rapport. I hope they'll give a recital together soon. The other duo which in my book equalled theirs, though very different, was tenor Thomas Walker with Mark Nixon, who threw himself into suggesting Tchaikovsky's orchestra for Lensky's Kuda, kuda vï udalilis, and was equally committed in Strauss. Walker gave us emotional intensity and ardour, covering the lyric, dramatic to heroic range of his choices; great potential there, and I hope to hear them again in recital. Of others who departed unrewarded, I'd mention too Martine Grimson for her legato, tone and intensity in Nacht und Träume, but I thought her Manon aria a bad choice. Several of the short-listed contenders are associated with the Royal College of Music, and may be heard in Kensington shortly, in Cosi at the Benjamin Britten Theatre, 25 June to 1 July. 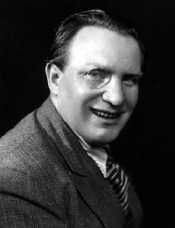 The Richard Tauber Prize (bi-ennial or tri-ennial) was open to singers resident in the United Kingdom or Austria.
. Applicants should be aged over 21 and not older than 30 in the case of women and 32 in the case of men, as on 7 February 2005 .
. Preliminary auditions were held in March 2005 in London and in Vienna .
. Candidates were requested to prepare a choice of two operatic arias and one Lied. The total programme not to exceed ten minutes and at least one of the pieces should be sung in German. I read with interest your comments on the recent Final Auditions, being one of those fortunate enough to be present on that occasion, but who left in disappointment after the declaration of the result. It seemed to me that the jury made the simple mistake of judging on the basis of what they thought a singer might be capable of producing at some future stage in their career, rather than on what was actually presented.